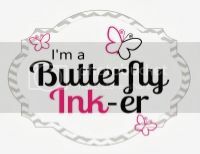 Techniques by Trish: Corri's Birthday Buggy Blog Hop! This is so pretty, Trish! I love the way you attached the ribbon! So pretty! The ribbon is great! Very pretty! Love the rich colors! this is so pretty! love the bright fun colors! what a beautiful card!! you are such a great designer, I love your blogspot. Faublous! Can't beleive you did with just punches! Thanks for hopping with me today! Your card is beautiful! What punch did you use for the flower petals? I love it! Pretty flower! love the stitched bugs too! Very Pretty Trish. The colors are very Fall. What a great idea to use punches. It turned out lovely. Pretty card, your flower petals are beautiful!! Pretty card with great colors! Thanks for sharing. soo cute Trish... I love that big giant sunflower.. ADORABLE! Love the flower. What a luck ladybug to have a great flower to visit. 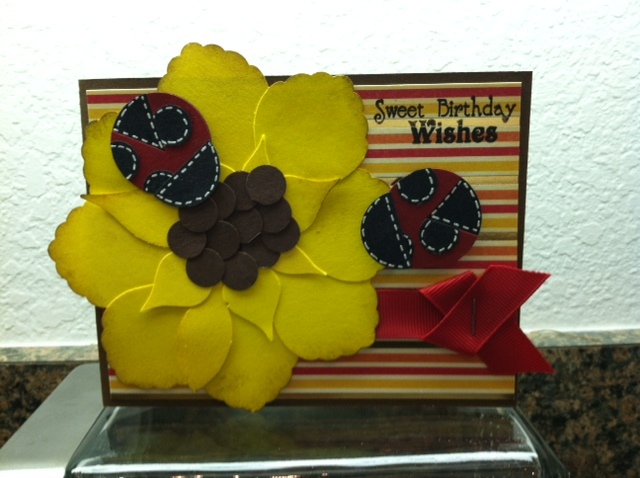 The giant flower is a fun idea on your card! So cute:) Love the ladybug! I am already a follower here!! And adore your cute card!! TFS!! Trish, love the idea of using just punches to make the flower. I am always so fascinated by using punches in different ways! Love it! Love the sunflower you made. Beautiful card..I love the colors, and like one of the other comments, I really like the way you attached the ribbon. TFS! Awww ... very pretty card. Great job!! This is really super cute!! Great job!! what a fun hop to celebrate Corri's birthday!! What a beautiful card.. love the ladybugs! :) thanks for sharing! Super cool flower. Love it with the ladybugs. great job. Great card, love that you did all with punches!!! Love the flower!!! I'm happy to be a new follower! Beautiful card -- love that flower. TFS. Love how you did the flower, and the lady bugs are adorable. Thhank you. Love that you used your punches! I tend to forget to pull mine out..but this is a reminder to look beyond the expected!